Pleurtuit: Single-family house "this property", built in 2005. In the resort, 1 km from the centre, in the residential district, 5.2 km from the sea, 5.2 km from the beach, south facing position. Private: garden (fenced) 700 m2, parking at the house. 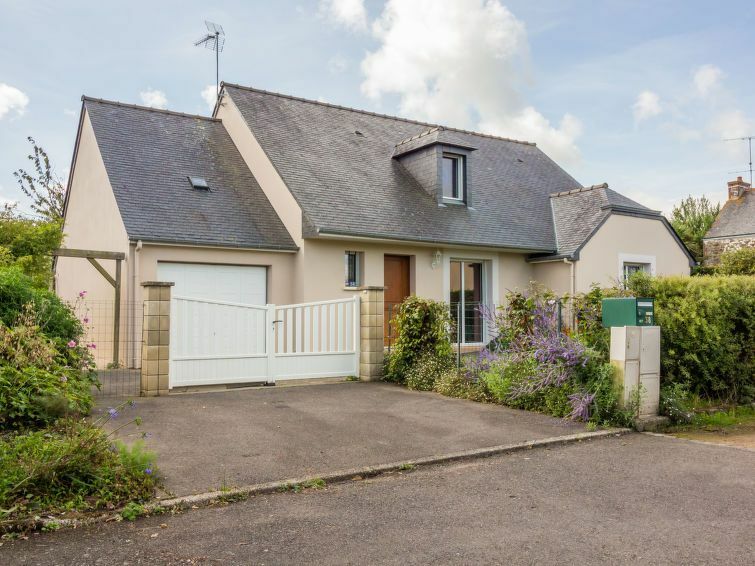 Shop, grocery 550 m, supermarket 800 m, shopping centre 3.9 km, restaurant 750 m, bar 800 m, bakery 850 m, café 800 m, 10 minute walk to the centre, railway station "SNCF de Saint Malo" 12 km, ferry "Saint-Malo" 13.3 km, sandy beach "Le Prieuré" 5 km, indoor swimming pool 6 km, thermal baths "Thalassa de Dinard" 8.5 km. Sports harbour 5 km, golf course (9 hole) 4 km, sailing school 5 km, indoor tennis centre 650 m, minigolf 5 km, riding stable 4.5 km, sports centre 1 km. Nearby attractions: Dinard 5 km, Dinan Cité Médiévale 19 km, Saint Briac 10 km, Saint Malo et ses remparts 15 km, Cap Fréhel et Fort la Latte 36 km, Le Mont Saint-Michel 60 km. The keys‘ handover takes place by the agency Interhome in Dinard, 7 km. 3-room house 98 m2. Spacious, comfortable and cosy furnishings: living/dining room with TV (flat screen), hi-fi system and DVD. Exit to the garden. 1 room with 1 french bed (1 x 140 cm, length 190 cm). 1 room with 1 french bed (1 x 140 cm, length 190 cm). Open kitchen (4 hot plates, oven, microwave, electric coffee machine). Bath/shower, sep. WC. Terrace furniture, barbecue. Facilities: washing machine. Internet (WiFi, free). Please note: non-smokers only. Smoke alarm.